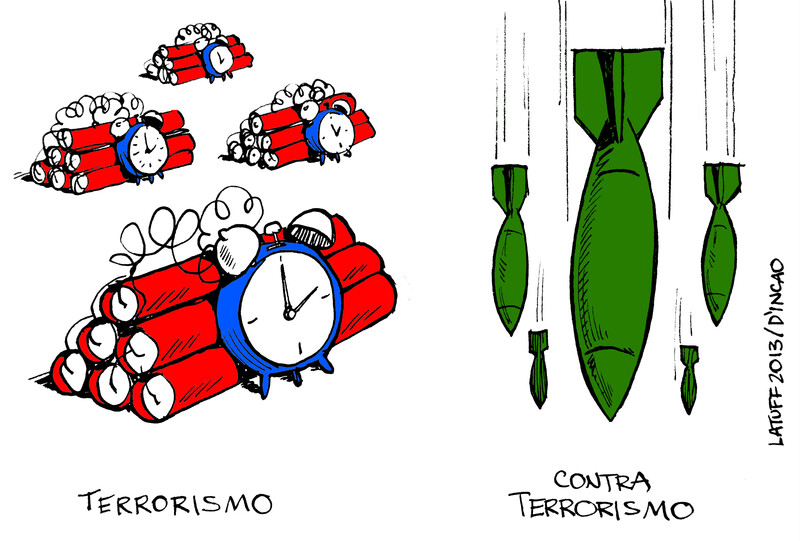 #Charge p/ @dincao Instituto de Ensino: TERRORISMOS! This entry was posted on April 27, 2013 by latuffcartoons. It was filed under Cartoons and was tagged with charge, D'Incao Instituto de Ensino, Latuff, terrorismo.